Maine officials want to enforce a $250 fine for releasing balloons intentionally due to environmental concerns. A pair of Maine lawmakers want stray balloons to be labelled as litter. On Wednesday, the idea was presented as draft bill L.D. 937 to the state legislature's joint Environment and Natural Resources Committee. 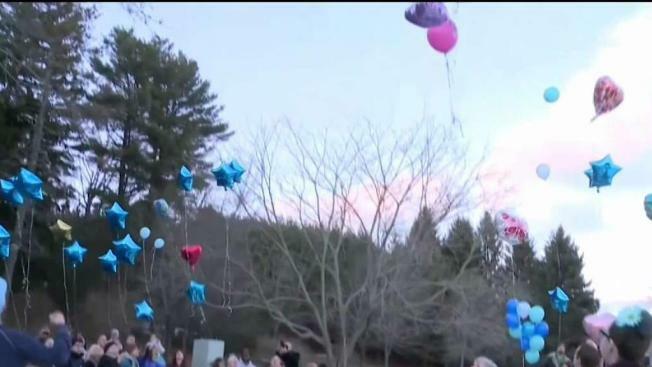 The bill would make balloon releases, sometimes done at weddings, funerals and other special celebrations, illegal in Maine. Anyone who sends a balloon up into the air would be fined $250 for littering. The proposal would also require Maine balloon retailers to provide a warning to customers that balloons are a choking hazard and harmful to the environment. Jan Partridge says businesses like her shop, Balloons and Things in Belgrade Lakes, would be negatively impacted if the bill became law, with customers being deterred from buying balloons altogether. "They just don't get it," Partridge said of lawmakers and lobbying groups like the Natural Resources Council of Maine that support L.D. 937. "We are all for the environment, but when you're taking something that is fun, natural, it's not fair." The law also makes no distinction between balloons made of latex and balloons made of mylar, a shiny plastic. Latex is technically not a plastic, which is why Partridge and others in the balloon industry argue it is biodegradable. Environmentalists disagree, and the debate has been cited as controversial as far back as a 1990 New York Times article. For lawmakers like Rep. Lydia Blume, a Democrat from York and a co-sponsor of L.D. 937, the matter is simple: animals in the ocean need to be protected, and balloon releases are putting them at risk. "They can still sell balloons," Blume said of concerned retailers. "They just have to say they're a hazard to the environment and to children." The balloon bill will still need to be approved by Maine's legislature and governor for it to become state law.